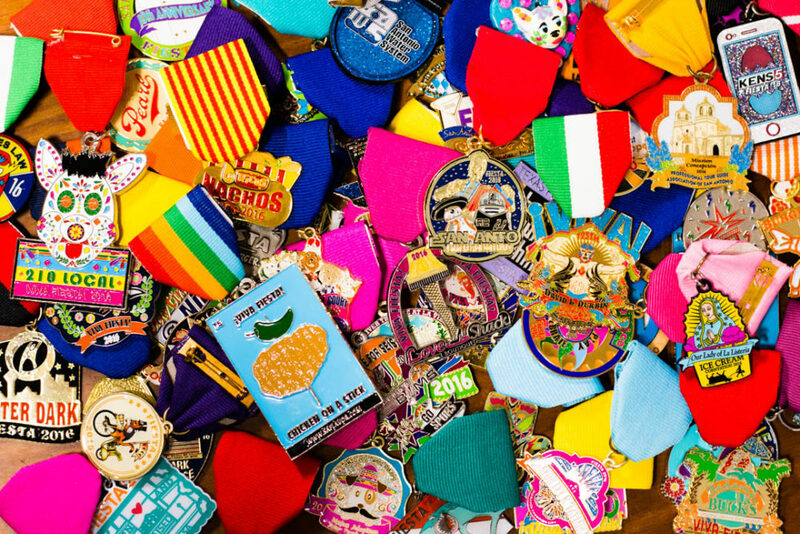 It is better late than never—but in the case of fiesta medals, it is much better early than late! 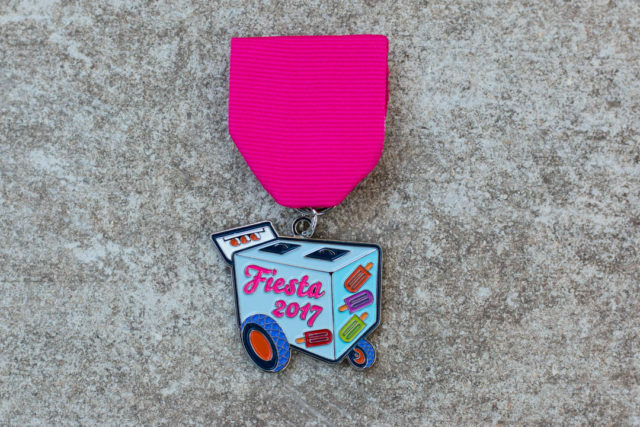 Think back to the most impressive fiesta medals from last year: what made those fiesta medals unique? To catch Medal Maniac’s attention, it’s important that you have both a creative design and high-quality construction. SA Flavor is here with the best advice for design and manufacturing so that you can create the fiesta medal that everyone wants! 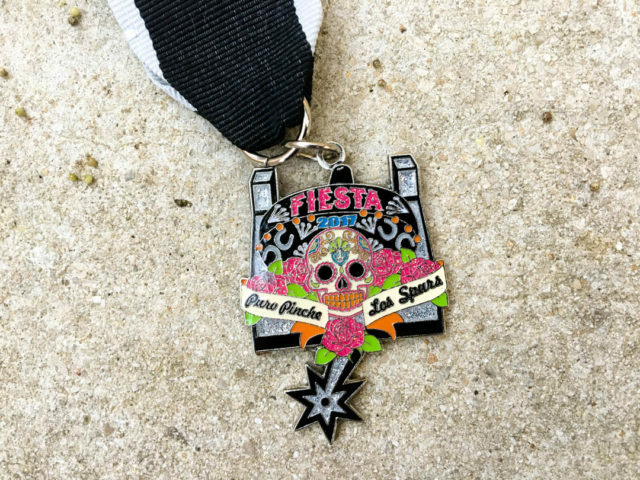 Your fiesta medal design must be more than just a business logo or a name. It’s crucial to make it visceral—to create a connection with those who view it. Here are some ways that I help ensure our medals connect with the community. Paleta Carta Amanda Infante SA Flavor Fiesta Medal 2017. An example of using nostalgia to create a connection with “medal heads” is the SA Flavor paleta cart. For those that grew up in San Antonio, the paleta cart brings back childhood memories of rushing outside on a hot day when you heard the familiar dinging of the bell. You, along with your siblings and friends, lined up with a dollar clutched in your little hand waiting to get your favorite paleta flavor. When using nostalgia in your design, it helps transport the viewer to a sense of time and place when they were younger. That’s a powerful experience. Puro Pinche Spurs Fiesta Medal 2017. The San Antonio community culture is unique—it is nothing like Austin nor is it similar to the Valley. We have our own form of identity that people that were born and raised here—or have lived here for a number of years—can understand. Examples of medals that tap into this community culture are Spurs inspired medals, such as the Puro Pinche Spurs Calavera medal. Sure, people like the Spurs, but in San Antonio, people LOVE the Spurs. Being able to tap into a sense of place at a local level will have a resonating effect for your fiesta medal audience. Ali Commemorative Fiesta Medal 2017. Now that we have discussed drawing onto trends at the local level, now let’s discuss doing it at the macro level—worldwide. The 2017 fiesta medal that did this the best was the Muhammad Ali medal, whose creator is still a mystery. 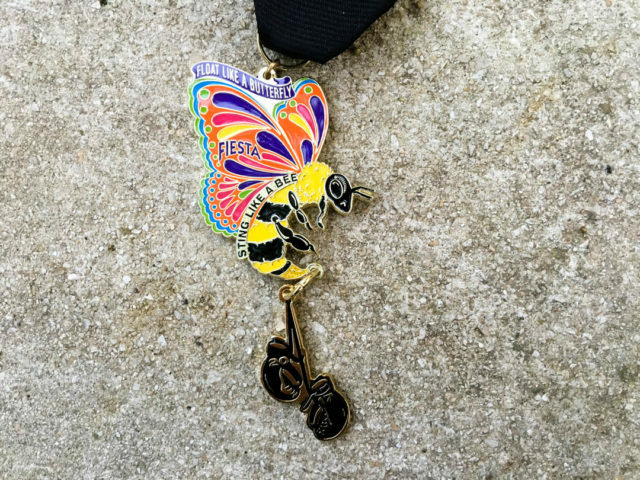 This medal featured the butterfly-bee hybrid with the dangle of boxing gloves and Ali’s famous “float like a butterfly” quote. San Antonians love boxing, but this medal went beyond the local confines of our great city. No matter where you were from, you understood and respected this medal for its embodiment of the late boxing legend. Back of El Corazon Spurs SA Flavor Fiesta Medal 2017. Having the year on your medal is practically a fiesta medal law—in fact, it is required for a medal to be accepted into the “heavy medal” weigh in competition at the conclusion of Fiesta. There are too many fiesta medal collectors that require the date and will turn away a medal without one—last year’s exception was the Trump Loteria card medal. You can incorporate the date into the medal design or have it stamped on the back, like SA Flavor’s Spurs loteria medals. Regardless of how you bring the year, having it as a part of your medal will produce better results than not having it at all. A great way to find the right fiesta medal design is by exploring yourself and discovering what is important to you. The result of that journey will be an incredible medal with a design that carries a little piece of you with every person who pins that medal to their sash. When we work with creators to produce a medal, a lot of time is spent getting to know them, their likes and passions. Turning an inward eye into what matters to you is essential for a hot medal. But design is only half of the equation when it comes to making the desired fiesta medal. You have to ensure that it has the highest quality production, from the clasp of the ribbon to the metal itself. And you need to make sure it can be delivered on time. Here are some strategies to make your production process go smoothly. One of the most common problems with fiesta medal creators is starting the planning process too late in the game. Most people are not aware that the majority of medal manufacturers in town manufacture overseas, specifically in China. And one thing that can really delay a fiesta medal order is requesting an order during the Chinese New Year, also known as the Lunar New Year, when the manufacturers shut down for 20 to 30 days. The Chinese New Year falls during late January and early February—and for San Antonians, right before Fiesta when fiesta medal orders start rolling in. 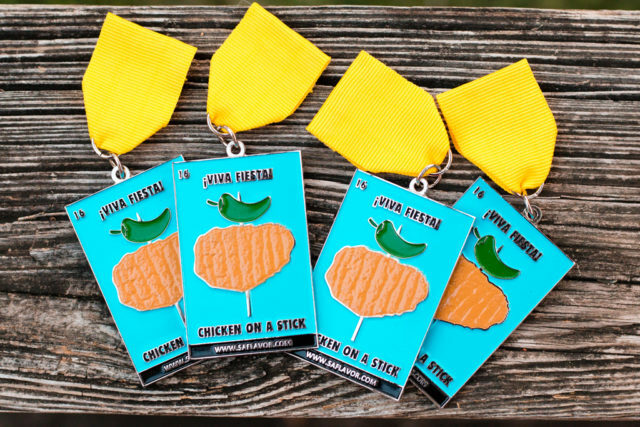 Chicken on a Stick SA Flavor Fiesta Medal 2016. Learning from my previous mistakes, I now know how essential the choice of ribbon can be. If you got to wear my Chicken on the Stick or Coyote medal, you may have noticed how flimsy the ribbon was and how chintzy the clasp was. I became obsessed to get the quality of my ribbon better and this is what you need to know. I’ve found that the majority of collectors prefer thick ribbons, ask for it to be 45mm in width. And to give it that little extra bit of sturdiness request that tagboard, that little piece of cardstock, is placed inside it. This will ensure that your ribbon will be sturdy and the form will stay in place. Another important item on the ribbon is the clasp. Request the “chicken-foot” clasp, the one that has a handle that allows you to secure the pin in place. Believe me, that clasp will greatly increase the odds that your fiesta medal stays pinned to a sash. If you don’t start planning now, what tends to happen is that you end up getting a prefabricated medal, also referred to as a “prefab.” There are a couple of ways that this is done – the first is a sticker placed on a plastic base. While this is definitely an economical way to create a medal, the creator/organization will have a tough time selling it because many collectors don’t favor this kind of medal for its slapdash feel. The second is creating a “shell” that is actually metal—typically it will say “Viva” on top and “Fiesta” below—and then placing a sticker in the middle with a custom design. While this has a “feel” of being real metal, many collectors will avoid purchasing or trading for them. Metal matters and I specifically want to point this out for non-profits who are looking to purchase medals as fundraisers. 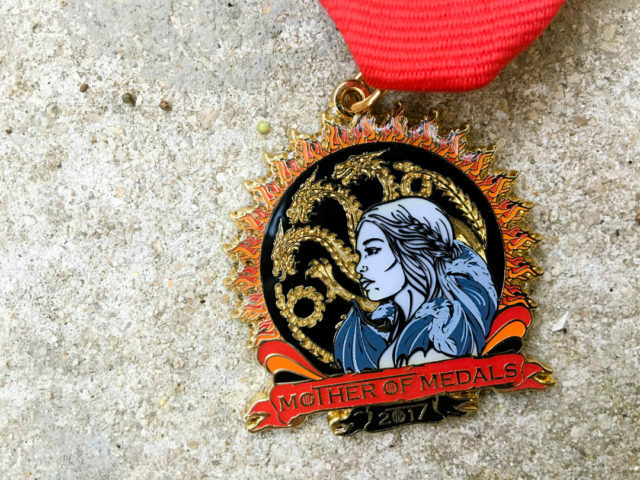 Christina Lumbreras Mother of Dragons Fiesta Medal 2017 uses gold metal to complement her fiery design. Since you have decided to create a metal medal, you now must take into consideration the color of metal you want it to be. Do you want gold looking medal or a silver one? During the design process, while you pick out your color schemes, the thing to remember is that the colors will be divided by a raised portion of medal. The color of the metal will be visible so it’s best to incorporate it into the design. An example without epoxy is the Taco Pacman Tony Infante SA Flavor Fiesta Medal 2017. The last manufacturing consideration is whether you want to add a finish to it. Most people decide to finish with epoxy, which can turn the most intricate details into a smooth piece of art. Adding epoxy will increase the cost, and in my opinion, an unnecessary one for most medals. By coating your medal with epoxy, you risk it looking like a “sticker medal.” Furthermore, I prefer seeing all the ridges, valleys and troughs. 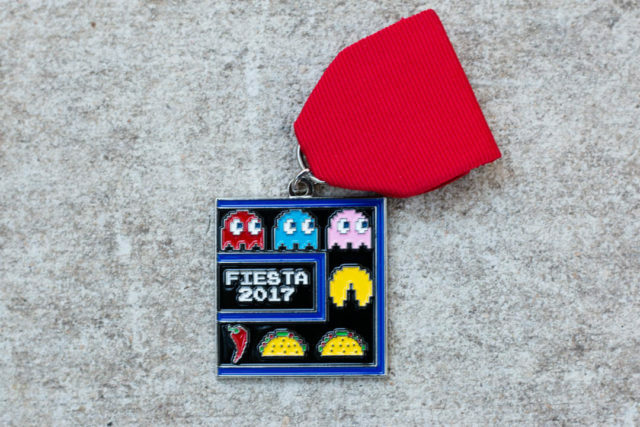 To me, this makes the fiesta medal more interesting visually and tactilely. Without the epoxy, medal collectors have no doubt that the medal is actually metal. Plus, it doesn’t hurt that it is a more affordable option. Are you a business, nonprofit or an individual looking to sell medals? Good news! SA Flavor can help you make your medal! Currently, we are able to offer quotes on fiesta medals for this group if the artwork is already created. This is what we did for the Pineapple School last year and they had an incredible fiesta medal at a very low cost. Have any questions? 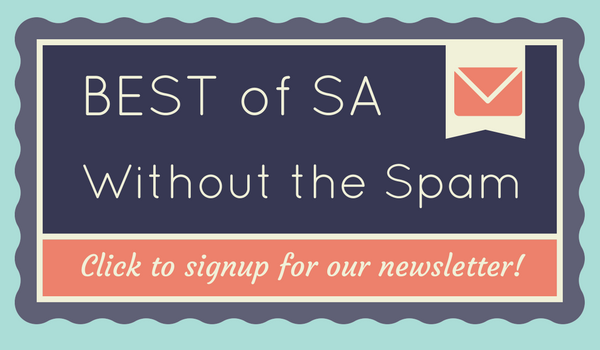 Be sure to hit up fiesta@saflavor.com and get ready! 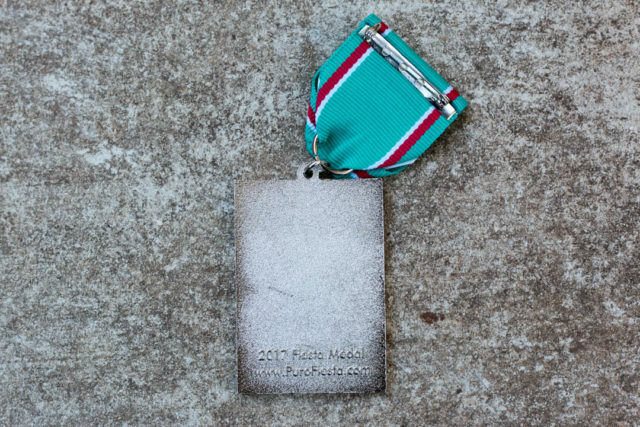 We’re already working with some medal creators and have some designs that are popping and will be coming your way 2018. ¡Viva Fiesta!